One box contains 36 easy-to-use double stick 3-inch strips of tape. 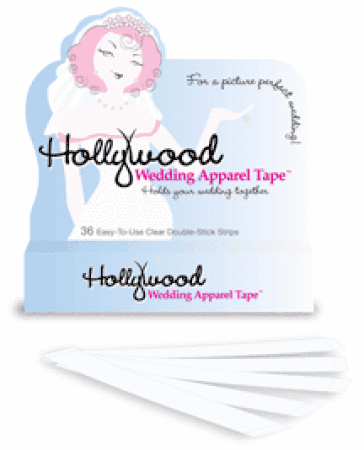 Hollywood's best-kept secret is a true wedding-day lifesaver. So when you hear, "Does anyone know how to quickly fix hems, hide slipping bra straps, hold up strapless gowns, or keep this garter in place?" You can effortlessly say, "I Do!" From the ceremony to the pictures to the last dance of the evening, rest assured you and your entire party will stay PHOTO OP perfect.